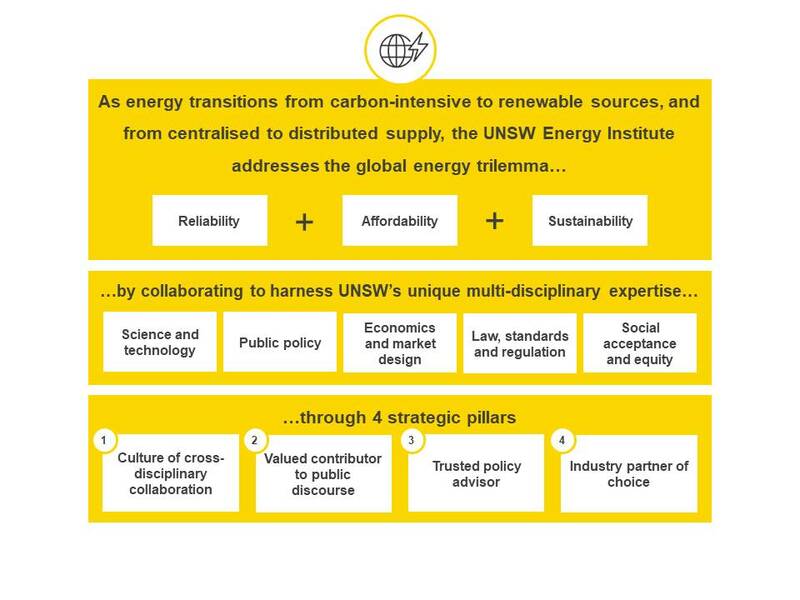 The UNSW Energy Institute launches coordinated strategies to address every level of the global energy challenge. We are leaders in multidisciplinary energy research, innovation and problem solving. The Institute unites energy activities across UNSW with industry, government, community stakeholders and other research institutions. contribute to solving many of the United Nation Sustainable Development Goals through energy solutions. Our role is to support knowledge sharing, to foster expertise, to inform energy policy, and to connect research to community issues and to commercial solutions. 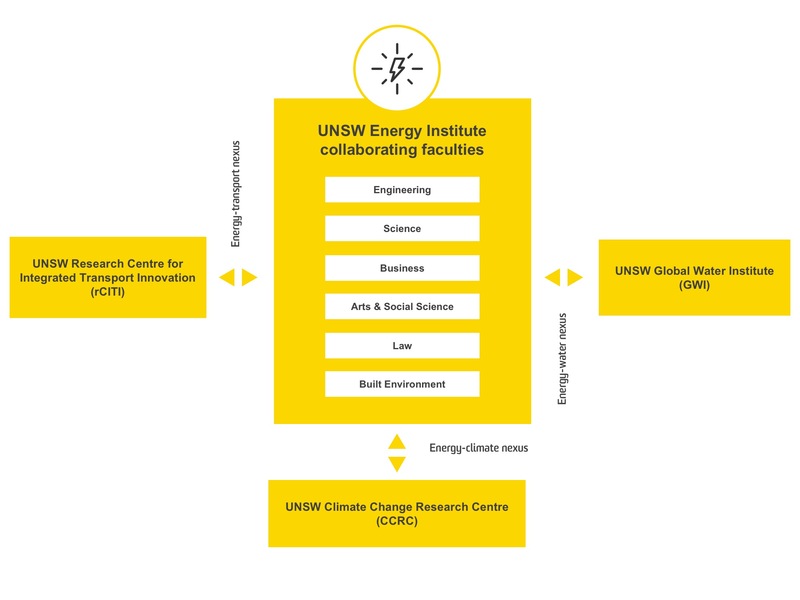 The UNSW Energy Institute is part of UNSW Sydney, one of Australia's leading research and teaching universities, and it is part of the Faculty of Engineering at UNSW, the largest of all the engineering faculties in Australia. The Energy Institute also collaborates with, and supports, energy activities across a range of other UNSW faculties and divisions. and through on-the-ground international energy development projects. The UNSW Energy Institute recognises the ubiquity of current energy technologies and fuels, and the need to transition to cleaner, more efficient and productive energy solutions. We partner with businesses, governments, NGOs, communities and other research organisations. We are future-facing and develop cutting edge solutions to future energy opportunities, and we help to solve today's energy challenges. For industry partners, we can help to secure government partnership for energy projects, helping to navigate how to obtain government co-funding to leverage and amplify industry investment. Please contact us if you need an academic partner to support your funding applications to ARENA, the CEFC, CRCs, NERA, ARC Linkage and other opportunities. Need energy experts but not sure where to start? 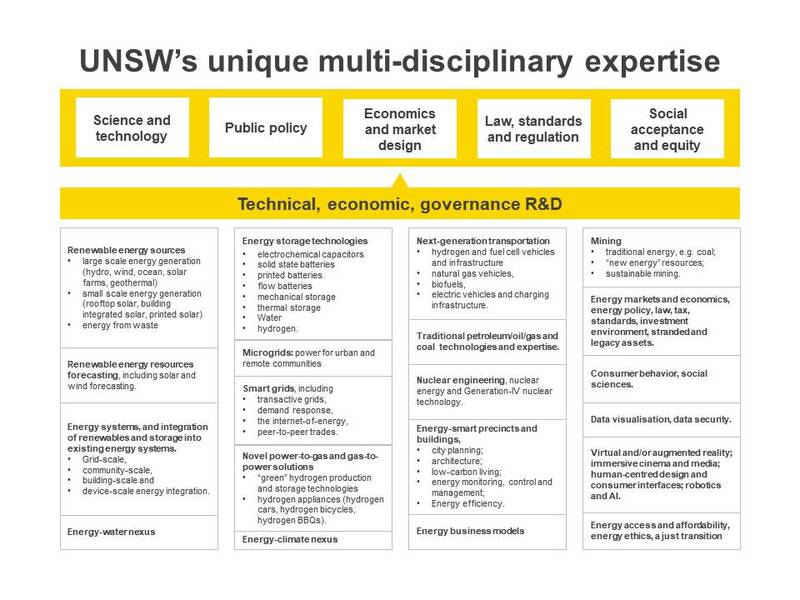 We can put you in touch with energy experts across a range of disciplines at UNSW. We regularly host companies on campus and hold workshops to explore how to best collaborate to create impact. Ms Justine Jarvinen (JJ) has a wealth of experience across the energy sector having worked in operational, investment analyst, strategy and advisory roles in Australia and the UK for organisations such as Exxon, Shell, Caltex, JBWere and AGL Energy. JJ is Chairman of energy technology startup Wattwatchers, non-executive director of ASX-listed Milton Corporation (ASX:MLT), and non-executive director of international social enterprise Pollinate Energy. She is a graduate of the Australian Institute of Company Directors, holds a Bachelor of Engineering (Chemical) with First Class Honours from Adelaide University, and is a Fellow of the Financial Services Institute of Australia. 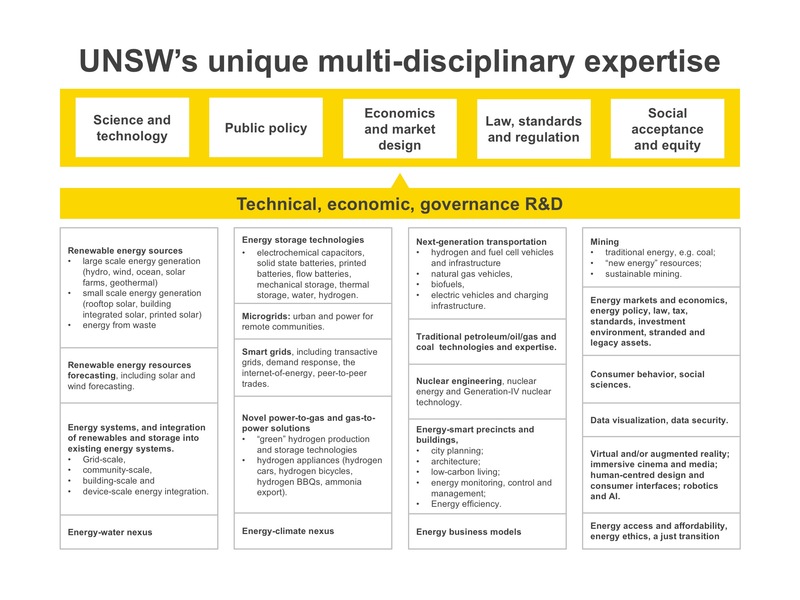 JJ's role is to develop and coordinate relationships between UNSW energy-related research and government and industry sectors who can benefit from these capabilities. 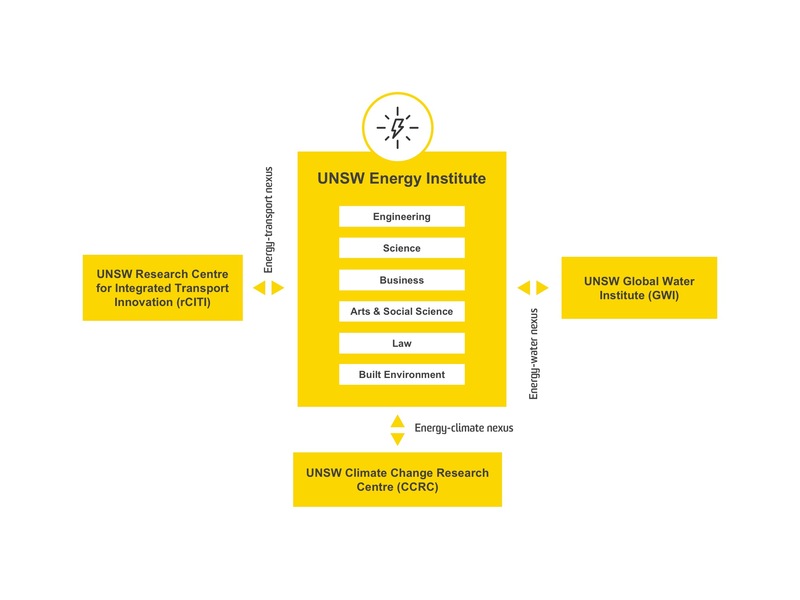 The Energy Institute takes a multi-disciplinary approach to energy challenges and opportunities, across a range of faculties and schools at UNSW. Experts in a range of disciplines participate in the Institute's Steering Committee. 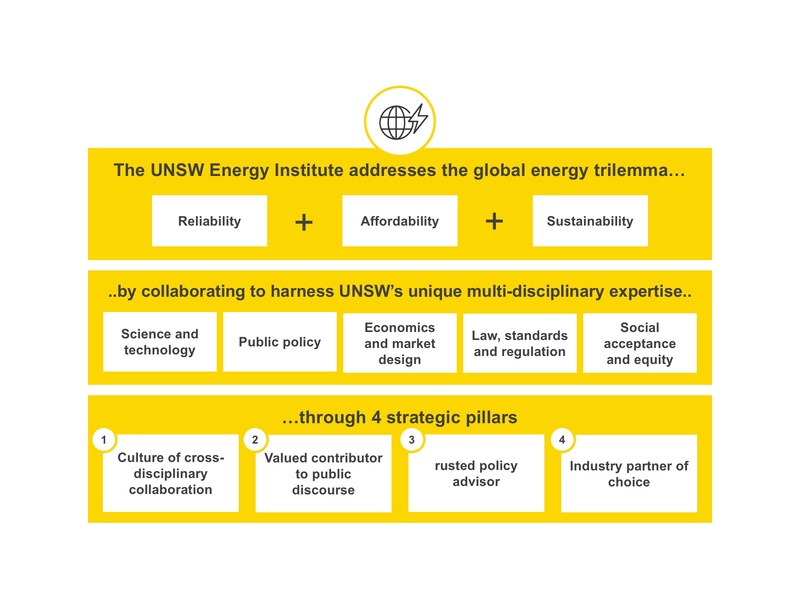 The UNSW Energy Institute partners with industry to solve current energy challenges, create future opportunities and lead the global energy transformation. We are grateful to a range of companies and individuals for their partnership and guidance. Members of the Institute’s Steering Committee and Industry Advisory Board will be announced soon. UNSW Energy Institute (by appointment only): Level 3, Tyree Energy Technologies Building (H6) at the Kensington Campus (on Anzac Parade), UNSW Sydney, NSW 2052 Australia. Engineering Faculty office: Level 6 of the Computer Science & Engineering Building (K17) at the Kensington Campus (near the Barker St Gate 14), UNSW Sydney, NSW 2052 Australia.